In another blow to the world’s No. 1 automaker, Toyota Motor Corp. said Tuesday it would halt some production at six assembly plants beginning the week of Feb. 1 "to assess and coordinate activities." "This action is necessary until a remedy is finalized," said Bob Carter, Toyota’s group vice president and general manager. The Japanese automaker said the sales suspension includes the following models: the 2009-2010 RAV4, the 2009-2010 Corolla, the 2007-2010 Camry, the 2009-2010 Matrix, the 2005-2010 Avalon, the 2010 Highlander, the 2007-2010 Tundra and the 2008-2010 Sequoia. Some dealers suggested taking vehicles to dealerships for inspections if people have safety concerns. Aaron Bragman, an auto analyst for the consulting firm IHS Global Insight in Troy, Mich., said Toyota typically sells about 65,000 Camrys and Corollas a month, and the frozen sales could strike at the company’s bottom line and reputation for quality. "That’s huge if they can’t sell these and they don’t have a fix identified. They need to go and get a solution to this fast," Bragman said. 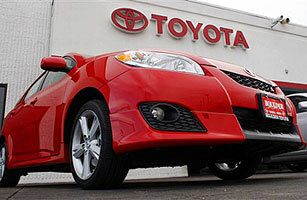 Toyota sold more than 34,000 Camrys in December, making the midsize sedan America’s best-selling car. It commands 3.4 percent of the U.S. market and sales rose 38 percent from a year earlier. 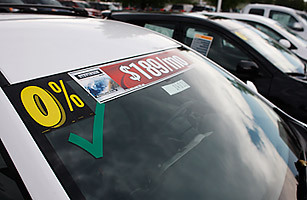 Sales of the Corolla and Matrix, a small sedan and a hatchback, totaled 34,220 last month, making up 3.3 percent of the market and sales up nearly 55 percent from December of 2008. Reports of sudden acceleration in Toyota vehicles has led Ken Bensinger and Ralph Vartabedian to investigate the claims that certain dates and models of Toyotas are designed defectively. They concluded that the original explanation, floor mats getting stuck under the accelerator pedal, is not likely the key problem. Instead, they suggest that the electronic throttles in models after 2002 are malfunctioning, in some cases, leading to terrifying and deadly accidents. That’s bad. But not even the only problem Toyota is facing. Mr. Bensinger and Mr. Vartabedian have also written about a federal investigation into Corolla and Matrix cars, model year 2006, which are subjects of complaints about stalling, sometimes while being driven at freeway speeds, and sometimes in dangerous spots, such as in the middle of intersections. The TIME article cited below also points out that even though Toyota is recalling millions of vehicles at risk for speeding out of control, it is not clear the auto manufacturer understands what the problem is – the floor mat being stuck under the accelerator pedal, or a problem with the electronic engine control system malfunctioning, or a combination of these problems as well as others? Toyota’s critics are complaining that the problem is with the electronic engine control system, though this allegation has yet to be proven. Keep reading for more details and a new Toyota tune at the end. Toyota Motor Corp. says the gas pedal design in Weiss’ truck and more than 4 million other Toyota and Lexus vehicles makes them vulnerable to being trapped open by floor mats, and on Wednesday, it announced a costly recall to fix the problem. But Weiss is convinced his incident wasn’t caused by a floor mat. He said he removed the mats in his truck months earlier on the advice of his Toyota dealer after his truck suddenly accelerated and rear-ended a BMW.